Ask a local what you should do in Sicily and chances are the answer is going to start with food. Grab a cannoli! They’ll say. Try granita! Don’t miss arancini! 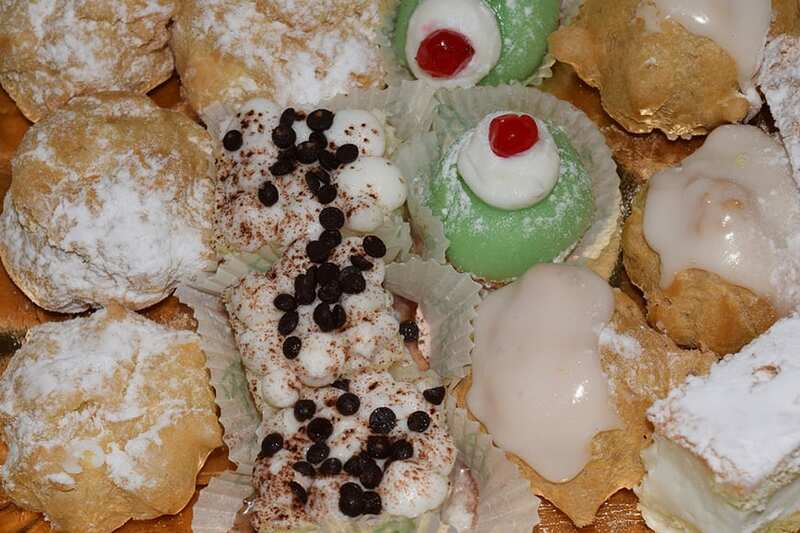 Rumor has it that when Sicilian boys go off to mainland Italy, their worried mamas pack their bags with Sicilian treats – concerned that no other food in the world can live up to what you’ll find on this big Mediterranean island. And while I love a lot of Italian food from a lot of regions, there is something to be said about how special Sicilian cuisine really is. 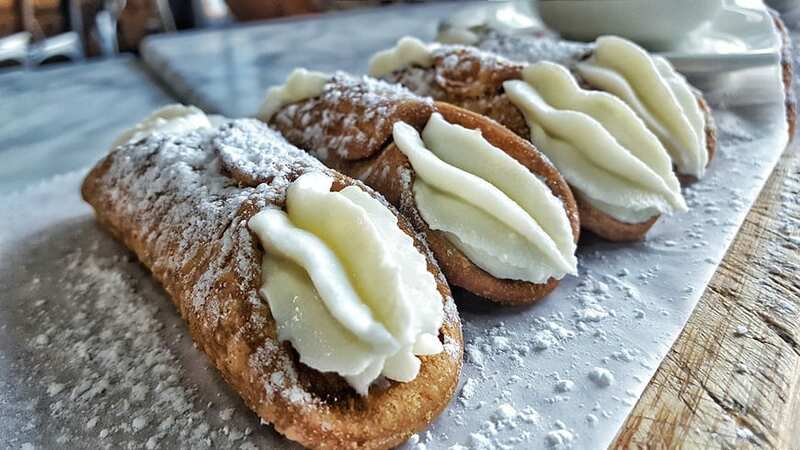 Try a real cannoli down here and go in search of one anywhere else in the world and I guarantee it won’t live up to the Sicilian version. So, what should you try if you’re headed to Sicily? Start with these classic dishes, desserts, and local ingredients. Expect a thin, crisp outer shell and lightly sweet ricotta filling nothing like the over-sugared versions you’ll find in the US. This dessert originated around Palermo and Messina, but you’ll also find a truly spectacular version at La Pignolata Guinness Cannoli in Taormina – a tiny shop tucked away beside a grocery store. This dairy-free cousin of Italy’s famed gelato is the perfect frozen dessert for a hot summer day. 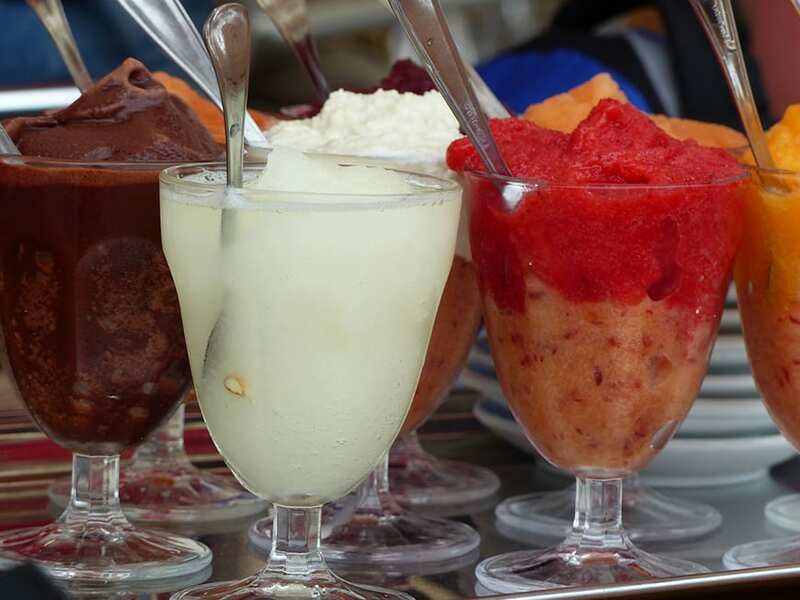 It’s similar to sorbet – a combination of fresh fruit, water, and sugar – and real granita is always made by hand instead of in a machine. It should be bright and flavorful and light, bursting with flavor in every spoonful. Popular flavors include pistachio, almond, and lemon, as well as fruit flavors that change as fruits come into and out of season. Real Sicilians eat theirs with a piece of brioche (a sweet, yeasty bread). To try the real deal, make your way to Bam Bar in Taormina. If it’s sunny, try to score a spot on the terrace – a perfect place for people watching. My personal favorite flavor here is almond. I could eat it every day of my life. Roll saffron-infused rice into balls, fill them with cheese, pasta sauce, or meat, coat them in bread crumbs and fry until crisp and you’ve got yourself Sicily’s most famous street food: Arancini. 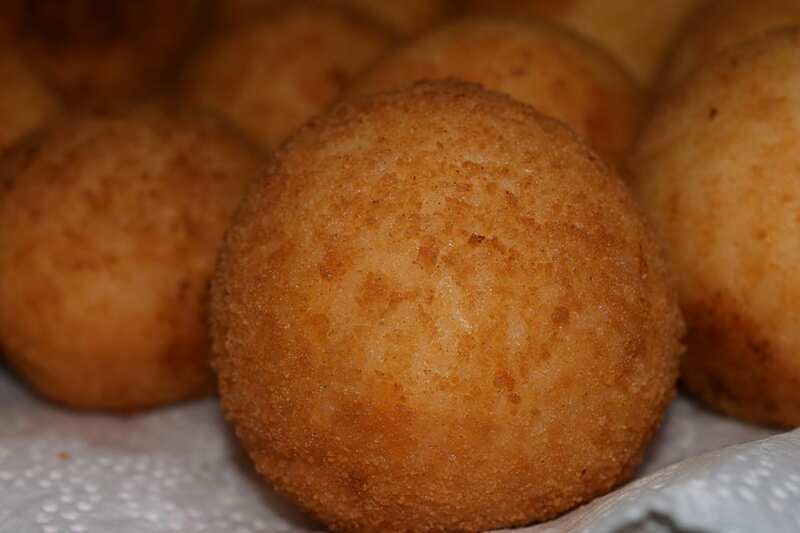 Depending on where you find yourself, you’ll hear them called arancina and arancine (a feminine form of the word) or arancino and arancini (the masculine). You’ll also notice that the shape differs by region, with the arancini around Mount Etna shaped like little mountains and the arancini on the north coast formed into a perfect ball. Sicilians are very passionate about their particular versions. I don’t know about you, but when I think of Sicily, chickpeas aren’t the first ingredient that comes to mind. Yet, once you reach the island, you’ll find that one of its most popular dishes features these distinctive legumes as the star of the show. The dish is called panelle and it’s essentially a deep-fried chickpea fritter. You’ll find them served up as street food in Palermo, often as a sandwich. Rumor has it, they came to Sicily by way of the Arab world. Here’s a thing Sicily has no shortage of: eggplant. You’ll find it just about everywhere served up just about every way you can imagine. This is another ingredient that found its way to the island from the Arab world and it’s the core ingredient in caponata – a popular Sicilian dish. Caponata is essentially a fried veggie salad mainly featuring eggplant and celery and seasoned with vinegar and capers. It’s usually served as a sweet and sour side dish. What we in North America think of as pizza originated in Naples on the mainland (and today Naples and Rome generally vie for the title of best pizza in the world), but that doesn’t mean other parts of Italy don’t have their own versions of the treat. While you shouldn’t order pizza in Sicily (it’s unlikely to be good), you should order sfincione – a thick, spongy, square crust (reminiscent of focaccia bread) topped with a tomato, herb, and anchovy sauce and hard cheese. If cannoli has left you wanting more ricotta-filled desserts (or just more sugar), you’re in luck. This liquor-soaked sponge cake is filled with sweetened ricotta (not to mention decorated with marzipan and candied fruit). There’s more than one version of this classic dessert, so if you’re traveling throughout Sicily, try it in a few different places. Ask an Italian where to find the best pistachios in the world and the answer will invariably be the same: Sicily. It’s where the dusky green nut started its journey throughout Italy (brought in from the Arab world), and it’s where the best of the best are still grown today (some even believe they know the exact town where the best nuts come from). If you’re in Sicily, keep pistachios top of mind. Order them in pastries, desserts, or just grab some for snacking. Speaking of famous Sicilian nuts, almonds are another ingredient the island is known for. Proponents say the surplus of sunshine, calcium-rich soil, and Mediterranean warmth are the recipe for almondy perfection and the reason Sicilian almonds are prized around the world. One common almond sweet on the island is Martorana – a Palermo-invented type of candied almonds. Another common way to eat almonds is in granita. And, of course, the above-mentioned cassata features an almondy marzipan coating. These thin meat rolls (often featuring beef or veal, though you’ll also find a tuna version in Messina) are stuffed with breadcrumbs, cheese, or veggies (like artichokes) and served up juicy and delicate on skewers. Sardines are about as Sicilian as you can get. You’ll find them on the Sicilian version of pizza, as well as served up in a variety of dishes around the island. Add bread crumbs, pine nuts, and seasonings and you’ve got sardines beccafico. Toss with pasta and fresh fennel and you’ve got a classic pasta con le sarde. Most of the chocolate you’ve probably eaten in your life has been smooth and rich, am I right? If so, you’re in for something truly unusual when you get to Sicily. 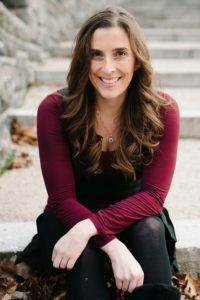 The island’s signature chocolate – made in the town of Modica – is processed cold, which means the sugar never fully dissolves and the final product is a grainy mix of crisp sugar granules and cocoa paste. Buy and eat it in bar form for the fully crunchy experience – or melt it in milk for a Sicilian-style hot chocolate. Another thing that’s easy to come by on Sicily is citrus. 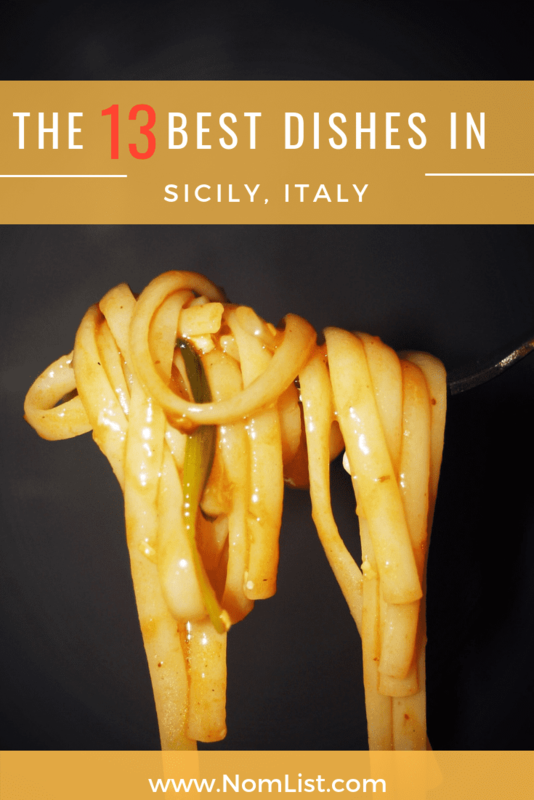 Another food that came to Sicily by way of the Arab world, now it’s a signature of the island itself – and you’re sure to pass a plenty of citrus groves (or lone trees bursting with fruit in people’s back yards) as you explore the island. Don’t miss out on oranges or lemons. And look out for blood oranges in particular. 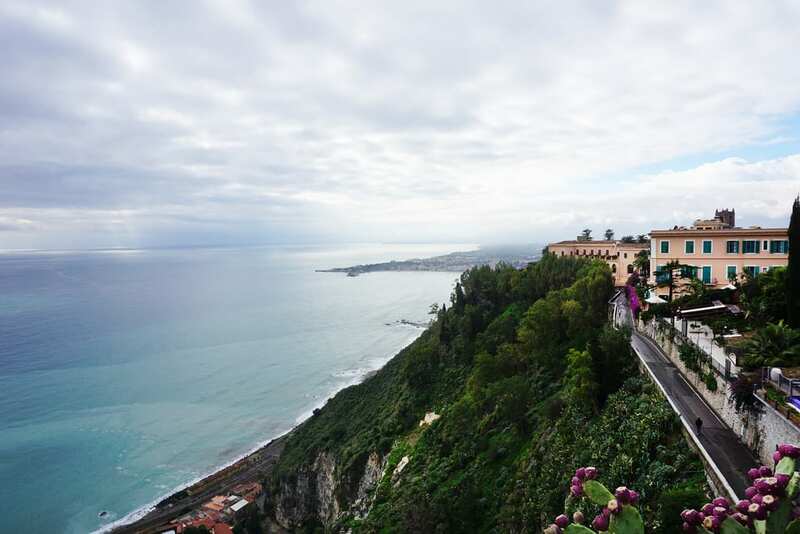 They’re grown in a small area near Mount Etna and prized across the island. There’s even a village festival dedicated to the fruit.